 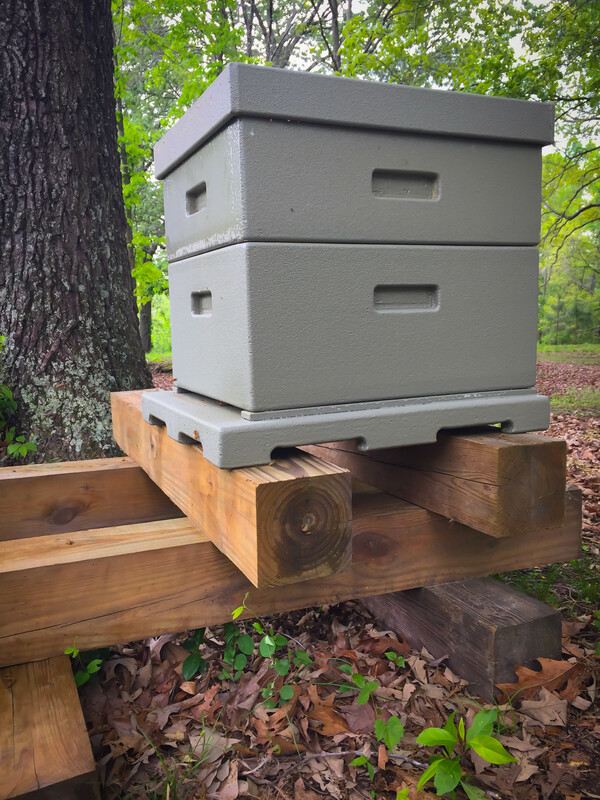 Bee Hive | | Rhino Building Products, Inc. Insulated beehives are an ideal addition to your homestead or apiary. 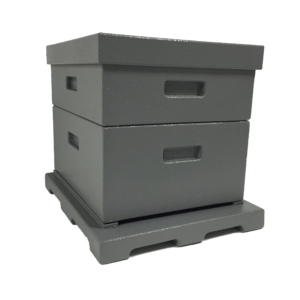 Made with the same process as our other top-quality outdoor products, our Insulated Beehive is exceptionally durable. 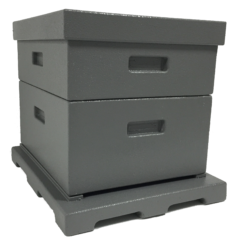 Unlike other insulated hives, there is no added bulk or weight. 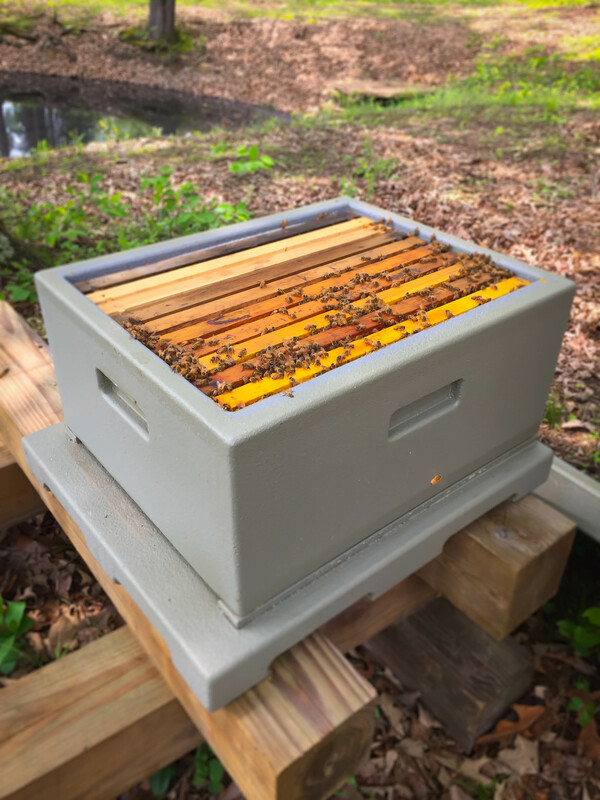 Our hive remains lightweight for easy relocation and the water-proof durable coating makes it simple to clean. 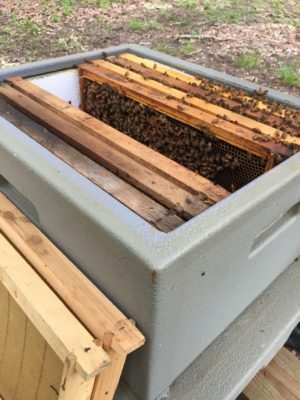 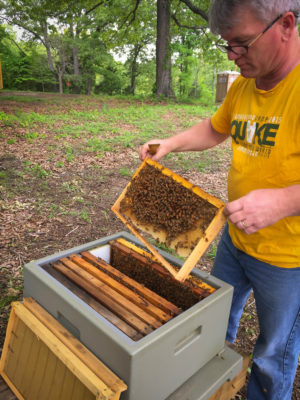 Bees in insulated hives have larger, looser clusters earlier and overwinter extremely well even in the coolest climates. 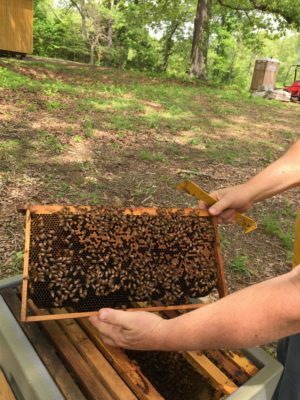 By reducing the temperature fluctuations in the hive, bees will spend more time collecting nectar and have increased honey production. 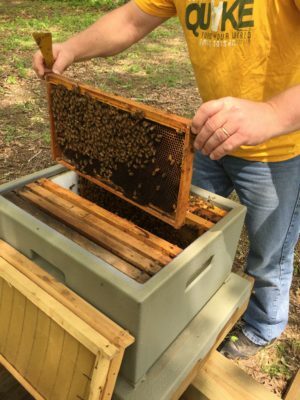 During the winter, bees will consume less honey and need fewer supplemental feedings because they require less energy for heating the hive. 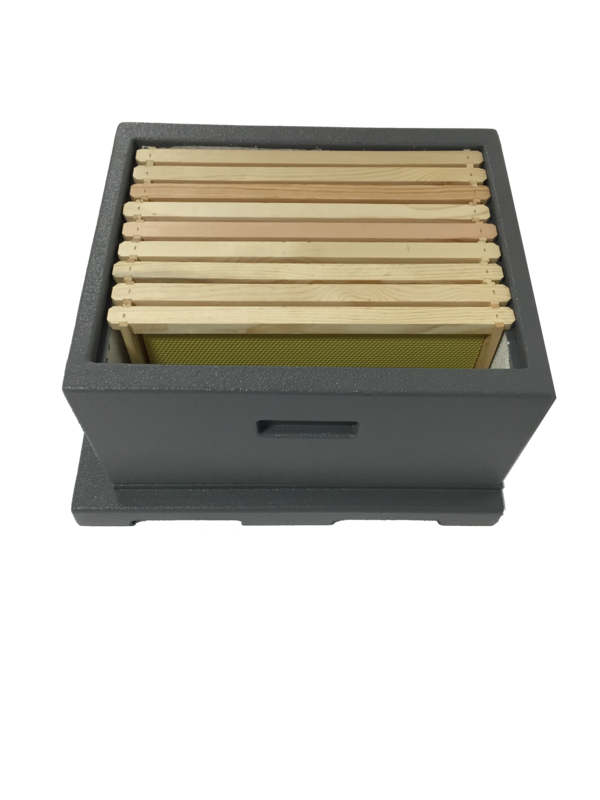 There is no risk of decay or water absorption as with traditional wooden hives- our hives will last for generations with little to no maintenance. 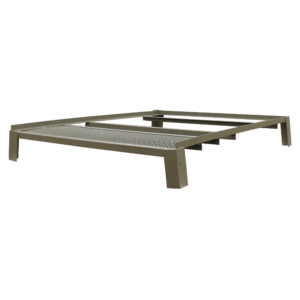 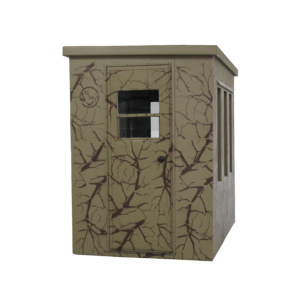 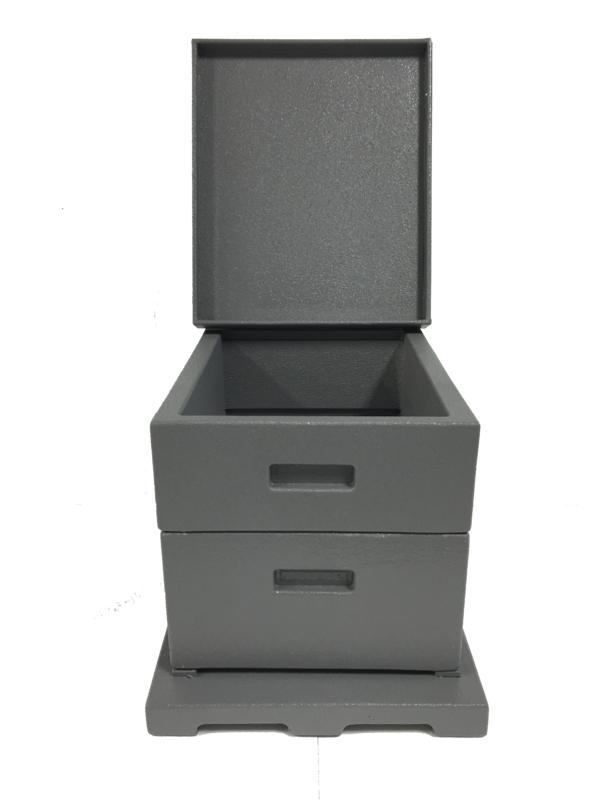 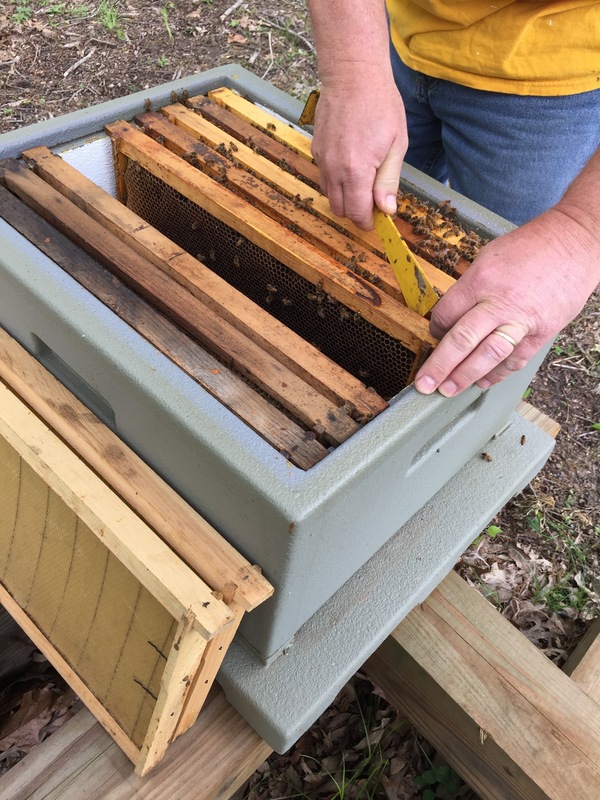 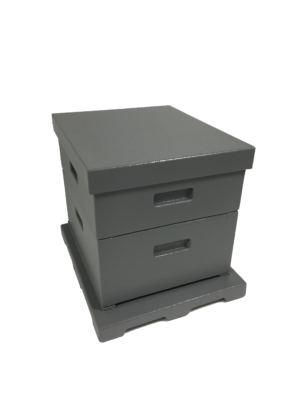 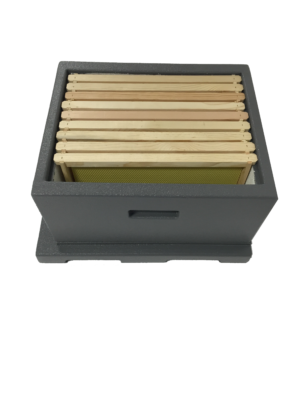 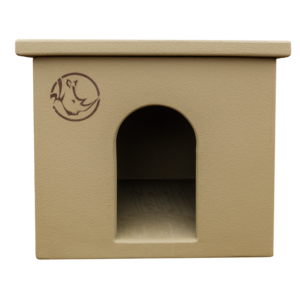 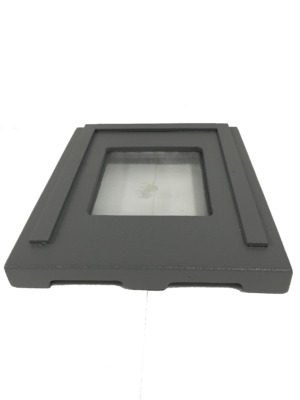 Our Insulated Beehive is built to standard dimensions and holds 10 frames.